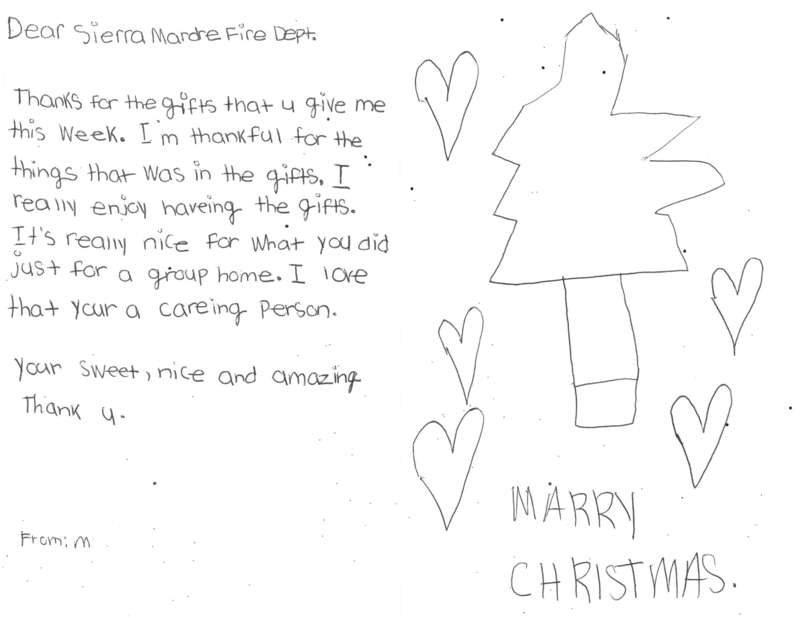 On Christmas, we give special thanks to the Sierra Madre Fire Department for delivering Christmas gifts to Maryvale's children. 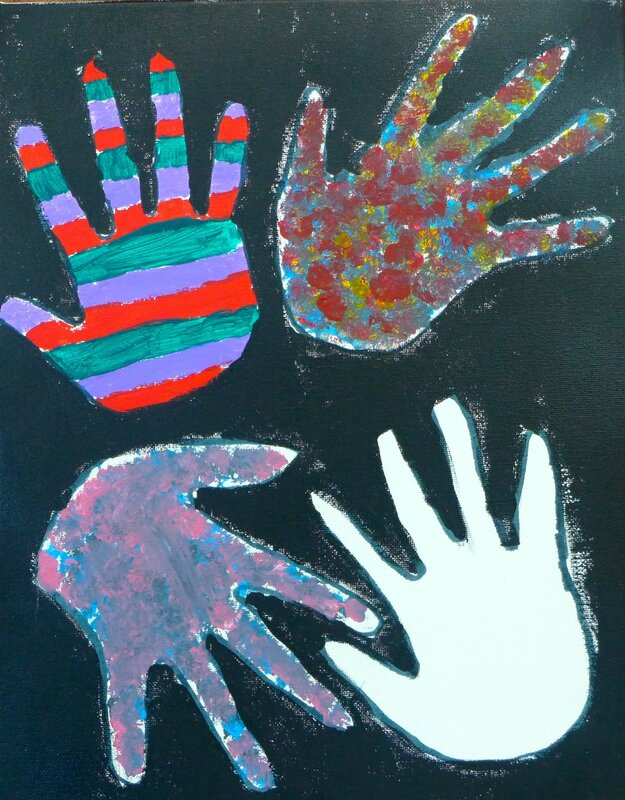 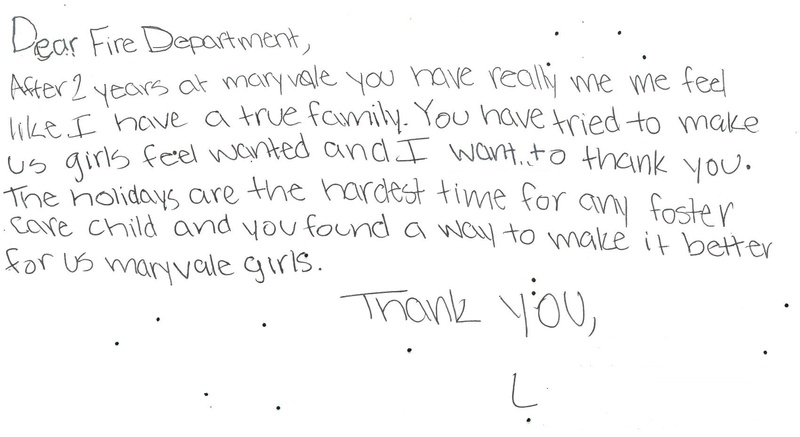 Our children and all of us at Maryvale thank you so much for your compassion and generosity. 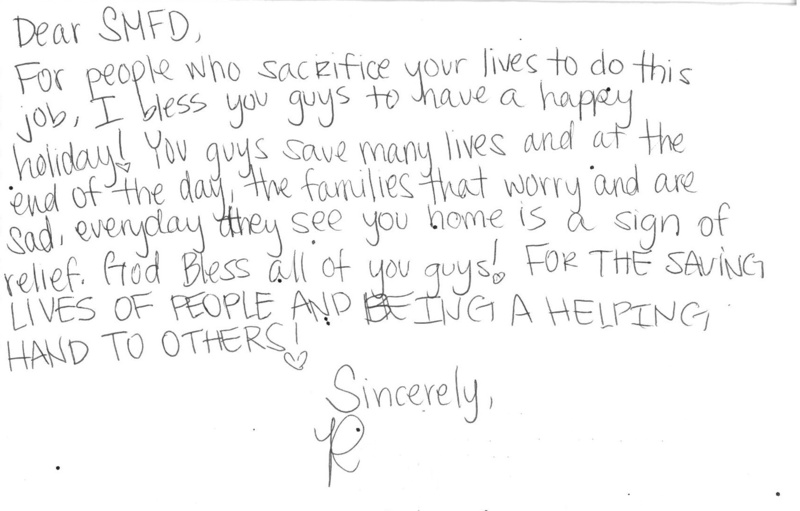 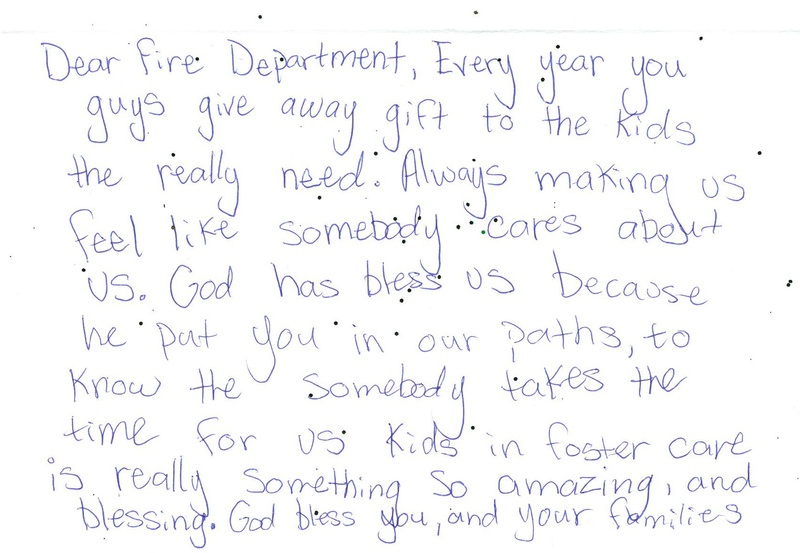 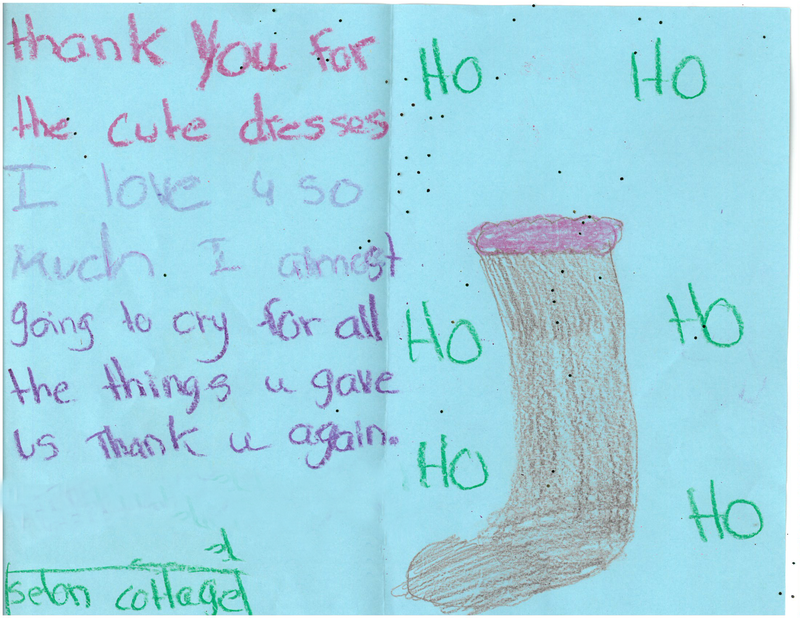 Below are some thank you letters from our children to the Sierra Madre Fire Department.